Was there ever life on Mars? Maybe. Is there sound? Definitely. On Friday, NASA released audio of the Martian wind, the first time sound has been recorded on another planet's surface. 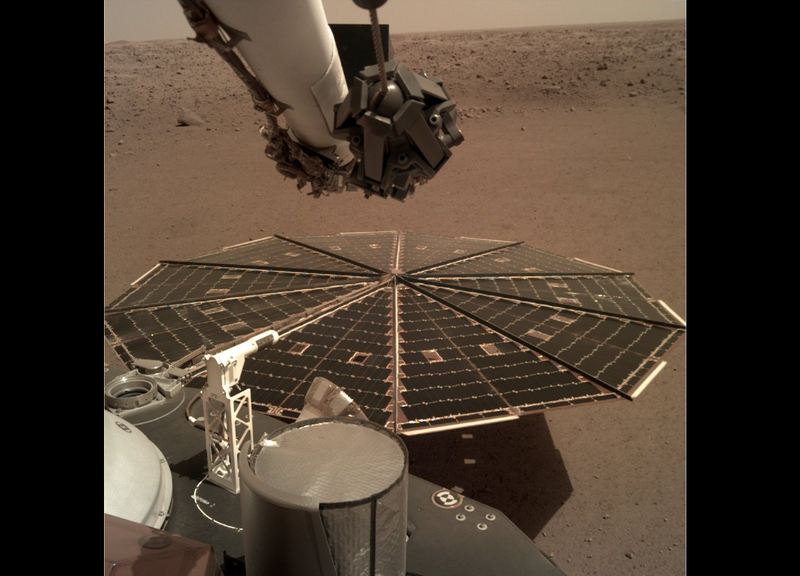 NASA's InSight Mars lander, which touched down on the red planet last week, captured a bassy vibrating rumble deflecting off the lander's 7-foot solar panels. Scientists estimated the northwest wind to be 10-15 mph. An air pressure sensor and seismometer detected the vibrations on December 1. "Capturing this audio was an unplanned treat," Bruce Banerdt, of NASA's Jet Propulsion Laboratory, said in a press release. "But one of the things [the InSight mission] is dedicated to is measuring motion on Mars, and naturally that includes motion caused by sound waves." The raw recording is a low pitched, barely audible purr. When it's cranked up two octaves, it sounds like a stiff breeze ricocheting off the walls of an alley on a windy day. "Hearing the first sounds ever recorded on the surface of another planet is a privilege. We have a great team, and we're doing incredible things every day at NASA," NASA administrator Jim Bridenstine said. InSight landed on Mars November 26 after seven months and 300 million miles en route. It will explore the planet's deep interior and analyze seismic activity or "marsquakes." An upcoming mission, the Mars 2020 rover, will have two microphones on board for clearer sound recording. NASA has tried unsuccessfully to listen to Mars in the past, Space.com notes. NASA's Mars Polar Lander was carrying a microphone when it crashed into Mars in 1999. The Phoenix Lander did successfully land with a microphone in 2008, but controllers were unable to turn on the microphone because of fears that they would short out the landing system.